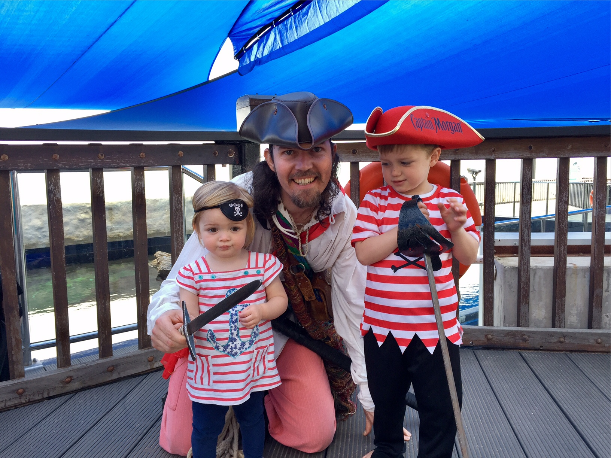 This week we had International Talk Like A Pirate Day, which was a fun day for landlubber’s to get in their pirate gear. But this fun day actually raises funds and awareness for children’s cancer charity, Childhood Cancer Support. We caught up with a tribe who went to visit AQWA for their Talk like a Pirate event. 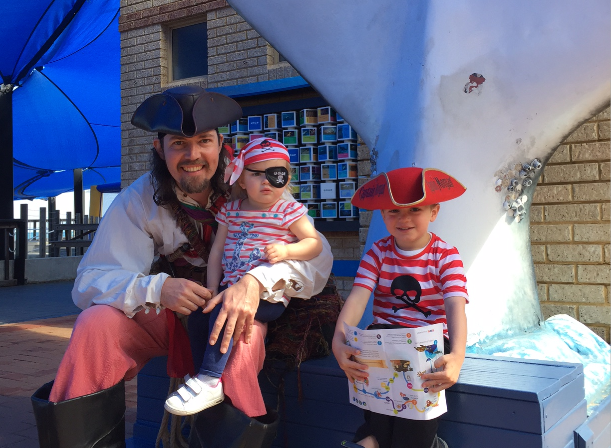 My son is Pirate mad so when I saw the Talk like a Pirate Day advertised at the Aquarium of Western Australia (AQWA), I promised I’d take him to meet a ‘real pirate’! AQWA is located in a great spot just over 20km north of Perth at Hillarys Boat Harbour; which in itself offers a great day out with lots of bars, restaurants, a playground and beach that’s perfect for kids. Upon arriving at the Aquarium I was pleasantly surprised to find a car parking space right by the entrance; and free at that (I love that about Perth!). Kids under 4 get in free so I only had to pay for me, making it a good value day out. In keeping with the theme of the day, all children were given their very own eye patch upon entry. AQWA is certainly child friendly with lift access, baby change facilities, picnic tables, a children’s menu in the cafe, activity and colouring sheets, a small bouncy castle and playground, and a daily timetable of activities for all the family to enjoy from storytime aimed at toddlers to watching the sharks being fed! During our visit we enjoyed a special timetable of activities including a treasure hunt with Captain Boots which the kids had great fun taking part in. 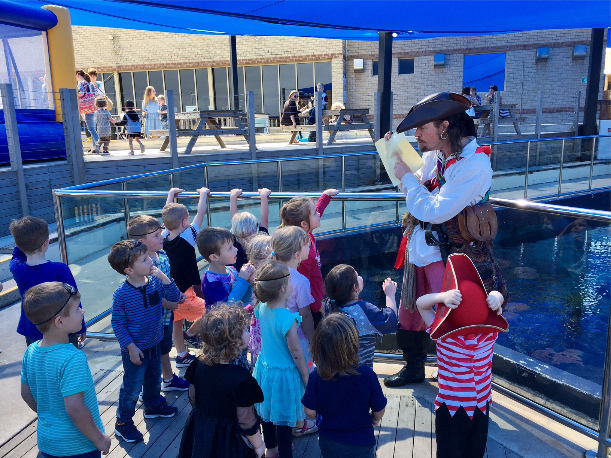 Captain Boots had their imaginations running wild as they acted out hoisting ropes, sailing over to a whale, dodging coconut-throwing monkeys and finally finding a treasure chest filled with chocolate gold coins; much to the kids’ delight! Captain Boots then made the children balloon-swords which they continued to pretend to be pirates with. 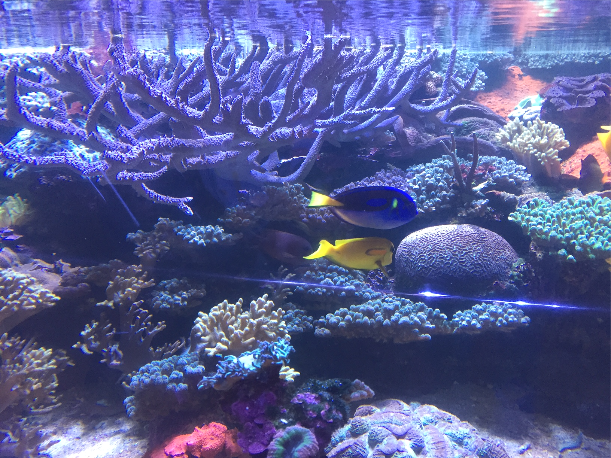 The Aquarium has so much to explore and is split into different zones to showcase Western Australian marine life from the Far North Coast down to the Great Southern Coast. 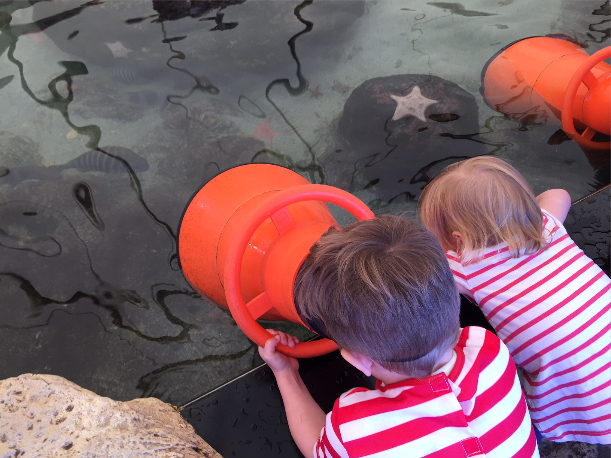 My kids particularly loved the Discovery Pool – an interactive exhibit where they could put their hands in the water and touch the likes of a starfish and seacucumber, plus look closer at them through the underwater viewers or goggles supplied. A tip for anyone visiting with young kids; take a towel and change of clothes as my two ended up getting pretty wet after excitedly delving their hands into the Discovery Pool! Another great experience was getting up close to a variety of beautiful fish, stingrays, sharks and turtles in the Shipwreck Coast exhibit as you’re slowly transported through an underwater tunnel along a conveyor belt. 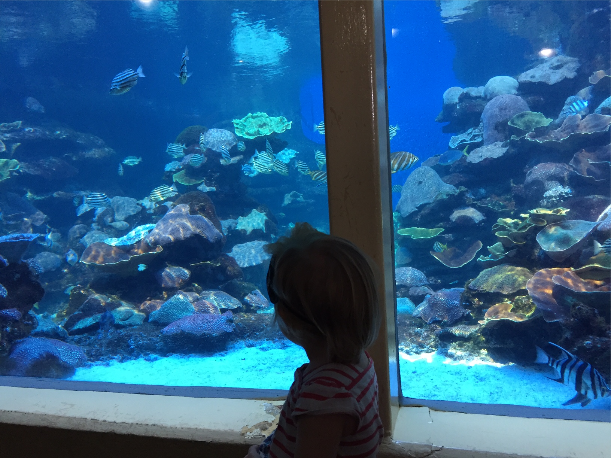 The kids seemed unphased by sharks swimming overhead, which visitors can go diving with in a package the Aquarium offers in afternoons. The kids also really enjoyed meeting AQWA’s shark mascot who came out to greet the children, plus spending their pennies on a souvenir from their gift shop full of treasures! A great day out was had by all, made even more memorable for the kids thanks to the entertaining Captain Boots. I’d thoroughly recommend a trip to AQWA to anyone visiting Perth, young or old! 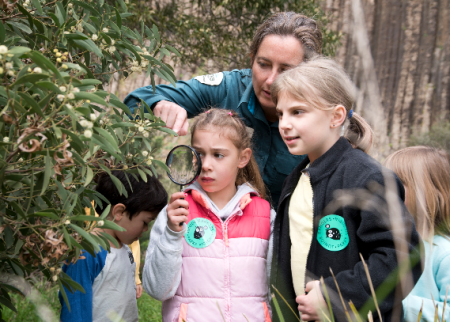 GUEST TRIBE ~ @pommuminperth Thanks to Kimberley who shared her tribe’s visit to AQWA with us.